Tested to 50,000,000 fatigue cycles. RELIANCE Gear Company has released the Reli-a-Flex flexible shaft coupling, with high torsional stiffness, low kinematic error and a long life. It gives 16 times greater torsional stiffness than a spiral beam coupling, as well as 12 times less transmission error and 12 times less bearing load. It is suitable for accurate measuring and precision motion control in servos and steppers. It allows feedback devices to operate to higher standards. 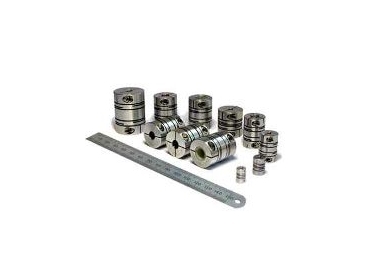 Shaft couplings often play a crucial role in mechatronic assemblies for position measurement and feedback applications in the aerospace, medical, biotechnical, analytical, scientific instrument and defence industries. Failure of these couplings can have a catastrophic effect on the parent machine, in the form of a total loss of drive or position sensing. The Reli-a-Flex coupling is tested to 50,000,000 fatigue cycles at its rated torque and 80% maximum offset.